The value of a tennis lesson when it comes to improving one's game can almost not be over-emphasized. For those intent on improving various aspects of their game, the benefits of professional and well-structured tennis lessons are tangible. When making the decision to invest in quality tennis instruction, the student benefits from a wealth of accumulative wisdom and insight that he or she would either never acquire on their own, or at the very least that would take them a far greater period of time to do so. A competent instructor will structure tennis lessons which ensure that a solid foundation of good habits and techniques is constructed, and that bad habits are avoided. 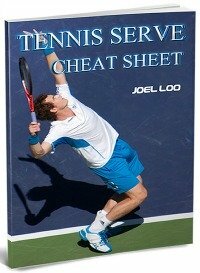 This is very important, given the fact that ingrained bad playing technique can often take years to unlearn, impairing the tennis player's game significantly. 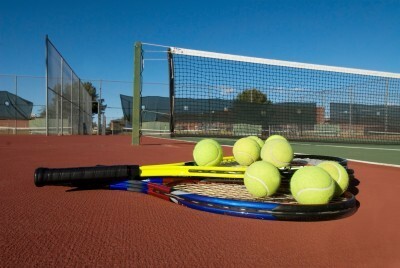 Depending on the existing level of play, a student will learn the fundamentals through to the advanced principles of proper stroke technique as it relates to every possible tennis stroke, including the crucially important serve. Utilizing correct stroke technique can mean the difference between victory and defeat. 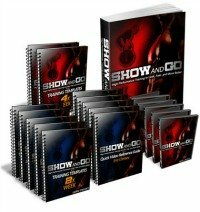 I have seen players playing with wrong stroke techniques and it is very frustrating for them and worse of all, playing with wrong techniques can result in various injuries like tennis elbow and shoulder inflammation. Another important aspect that tennis lessons will focus on is that of effective footwork. Footwork plays an enormous role in aiding the tennis player in hitting the ball cleanly, powerfully and accurately, as well as in he or she moving about the court in as efficient a manner as possible. Quality tennis instruction will also focus on more abstract aspects of the game such as how best to anticipate one's opponent's movements and placement of the ball, and how to develop mental as well as physical strength and stamina. The cost of lessons can vary greatly. Determining factors are things like whether the instruction takes place with a private instructor as opposed to a formal tennis academy/club. The experience and accomplishments of the instructor may be another factor in determining the associated cost. In practically every town or city, there are a variety of avenues which can be pursued when desiring to invest in tennis instruction. Lessons can be secured which will suit almost any budget under the sun, and the concrete value derived from learning from an experienced player and instructor can be enjoyed by any aspiring player. 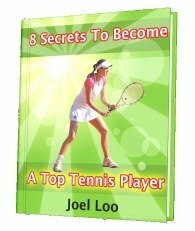 From "The Value Of A Tennis Lesson - Getting Help From a Tennis Instructor" To "How To Play Tennis Efficiently And Become A Better Player"